Nowadays, job searching is becoming more and more like a job. 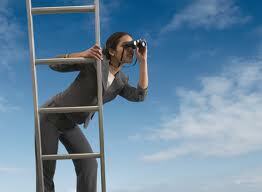 It’s true that one who wants to look for a job, has a lot of different ways to start searching. Actually, Internet can help you a lot in looking for a job, with lots of websites that provides you with a list of possible job you can apply for. The new and old methods available to look for a job, create a Tower of Bable, a multitude of different languages that can easily make you get lost. You can read the newspaper to find an offer that suits you, you can surf the Net and check some websites of jobsearching or you can go directly to a companywith your Curriculum Vitae. 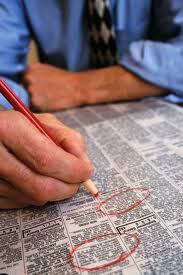 Unfortunately, in these period of crisis, it’s difficult to find a job. But the very important thing to do, no matter the way you chose, is to answer some simple questions, just to make your target a little clearer. 1- Which way I used to look for a job? Which ways I’ve still to try? Which one works better? ….. You should even ask to other people which ways they used to find a job. 2- In which way I describe my skills? How can I underline my skills? 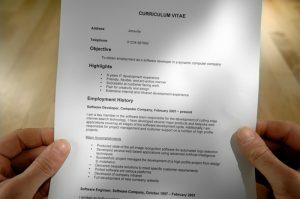 What about my CV (Curriculum Vitae)? Is it properly written? 3- Do I communicate my values? - You have always to write (in your CV) or to say (in a job interview) as many information as you can about yourself and your skills. 4- Which are my fields of interest? Where I’d like to work? 5- Which one is the recruiting system of the company in which I’d like to work? – If you know the recruiting system of the company, than you can apply in a better way.